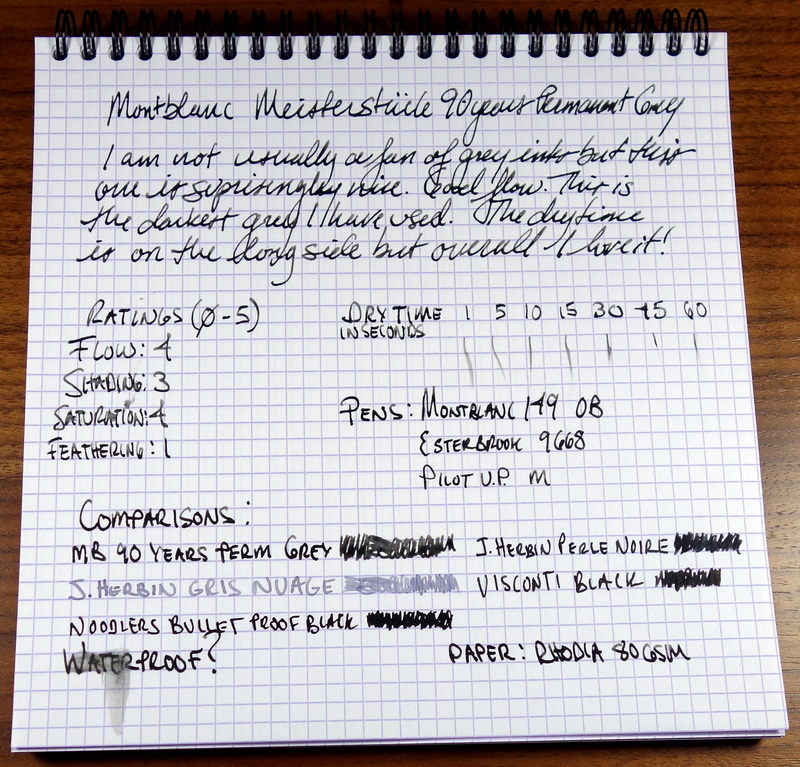 To celebrate the 90th anniversary of the Meisterstück, Montblanc has released a limited edition Meisterstück 149 fountain pen and a permanent grey ink. The ink comes in a retro bottle that reads: “This ink fulfils all the demands made on it by durable, good-working, Fountain Pen”. I have never been a fan of grey inks in the past but when I saw the bottle in the store I had to try it. The salesman was kind enough to let me dip the new 90th Years 149 fountain pen into a bottle of the Permanent Grey. 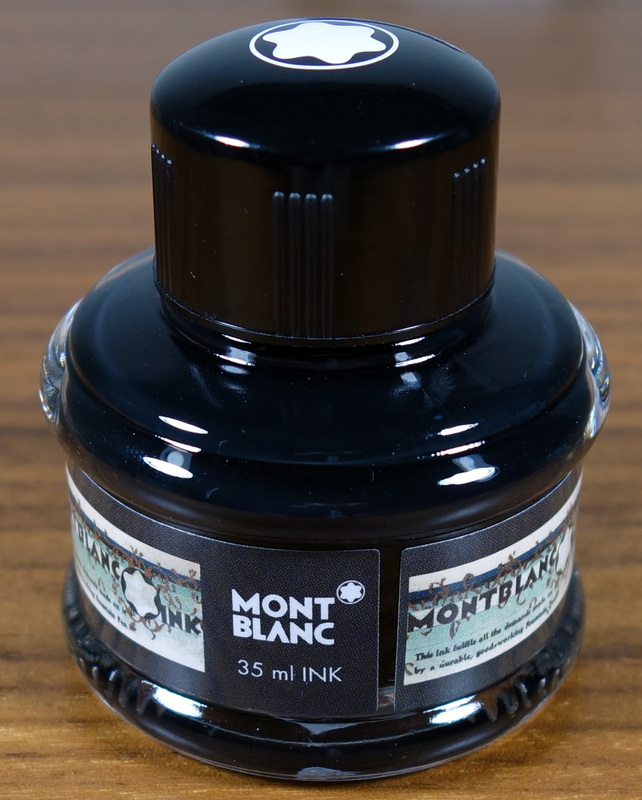 The ink looked great so I bought a bottle. 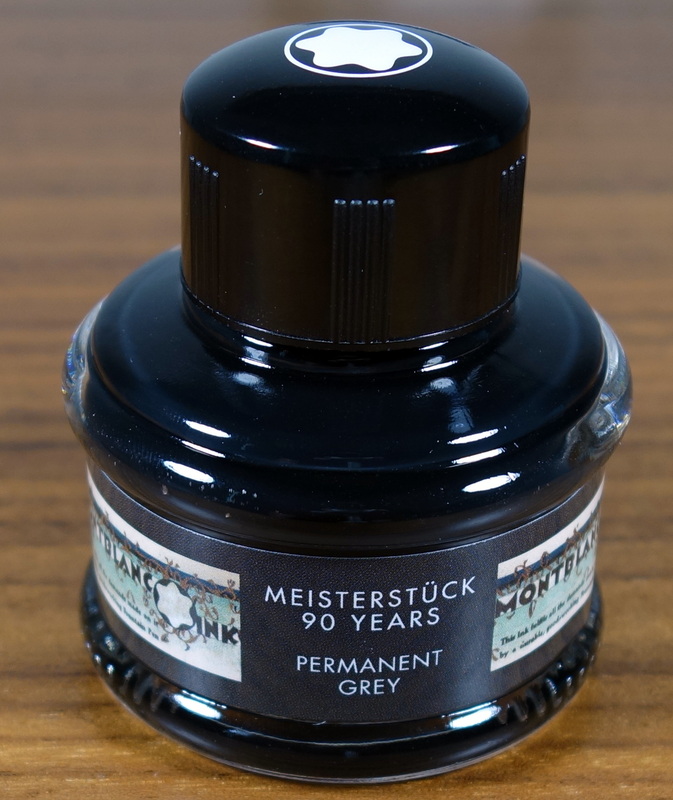 The 90 Years Permanent Grey is a beautifully saturated almost black ink. The flow is excellent, especially for a permanent ink. Good saturation and shading. 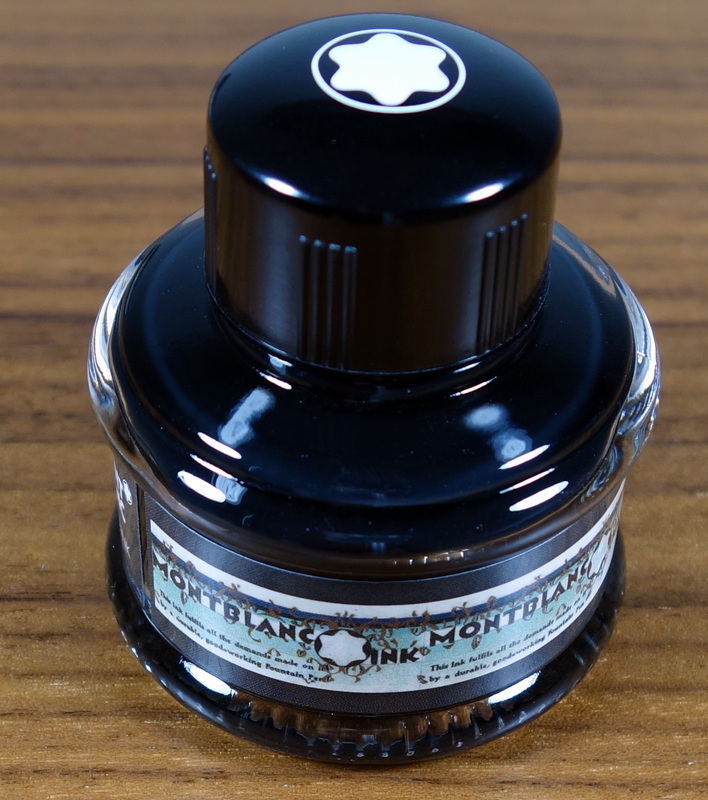 The big downside I see to this ink is the dry time…it’s long….very long. In my tests on Rhodia 80gsm paper it took approximately 75 seconds to fully dry. To test the ink’s permanence I let the ink dry over night and with a few drops of water the ink remained well intact. 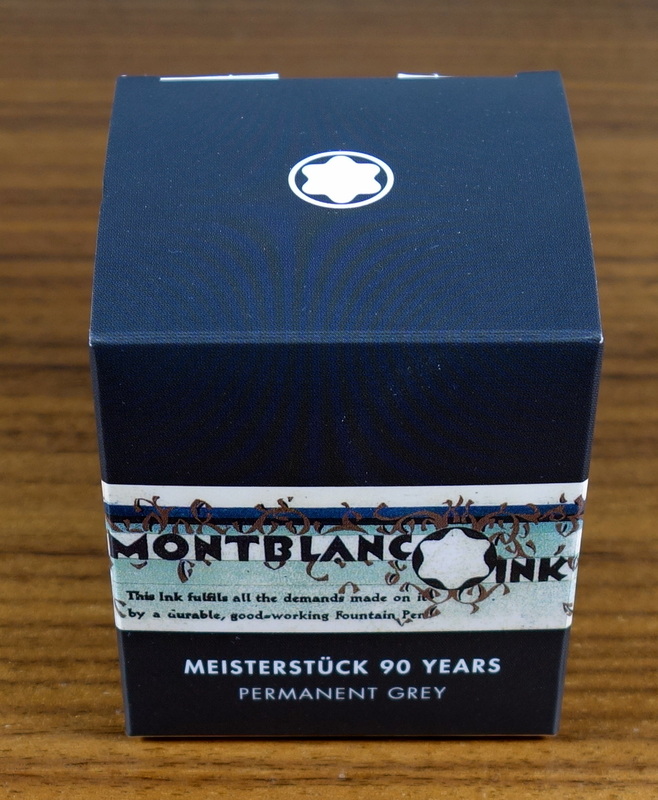 I believe most of Montblanc’s permanent inks have an ISO certification but I don’t see any mention of that on the packaging of the 90 Years Permanent Grey. 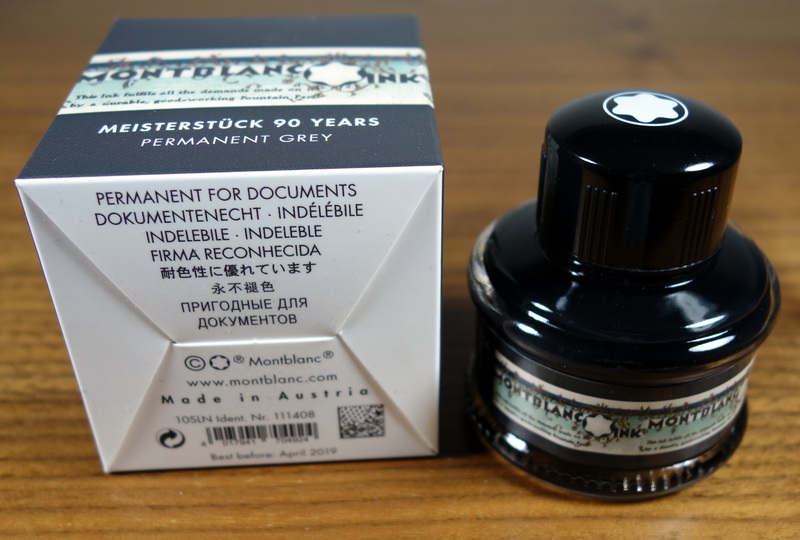 If you like grey inks, this one is a must have. The price is on the expensive side at $20 for 35ml but I think it’s worth it.